-Take a yoga class at slow motion. -Grab some coffee from Girls Who Grind. -Watch Basement Jaxx in the Big Top. -Watch Rick Astley and Simple Minds on the Castle Stage. -Sample some gin at Rob and Josie’s Gin Festival. 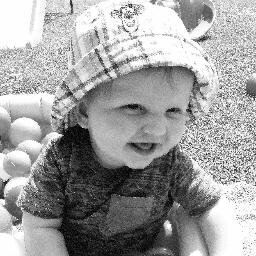 -Watch Mr Tumble on the Castle Stage. -Watch Mister Maker and the Shapes. 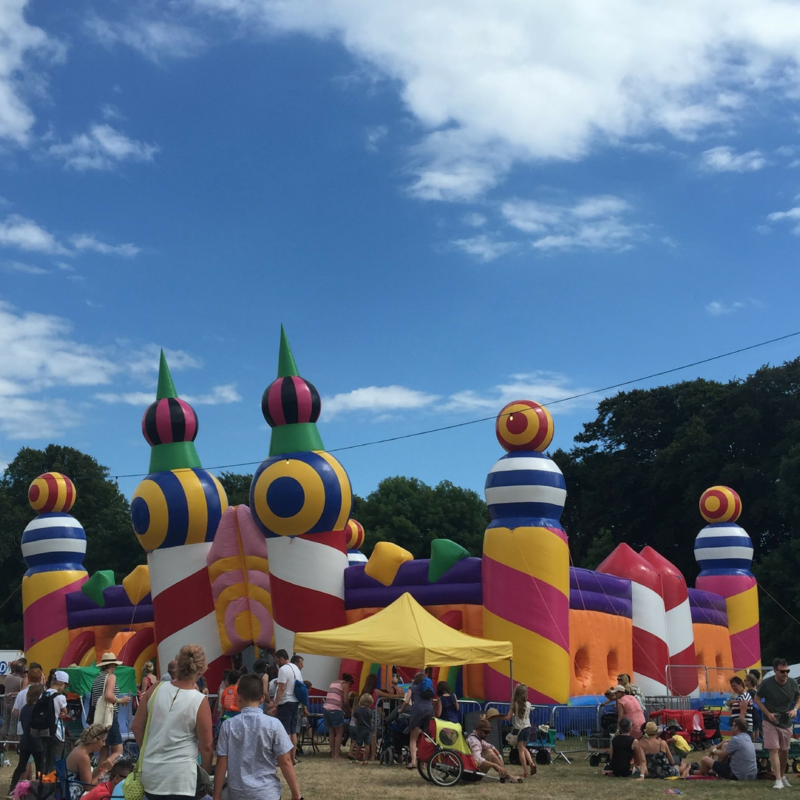 -Go for a bounce on the world’s biggest bouncy castle. -Have some pizza or some chunky Chips with Wicked Dips. -Meet Dinosaur World Live with a Tyrannosaurus Rex a Triceratops, a Giraffatitan, a Microraptor and a Segnosaurus! -Meet Peppa Pig on the Saturday. -Go tree climbing in the Dingly Dell. -Have some lunch from DJBBQ at the Feast Collective. -Pop into The Den and Rob da Bank’s Music Club – a dedicated area for 13-17s. -Have a go at the climbing wall and wild tree climbing. -Have some lunch from Young Vegans pie and mash stall. -Watch headliners Clean Bandit on the Castle Stage. 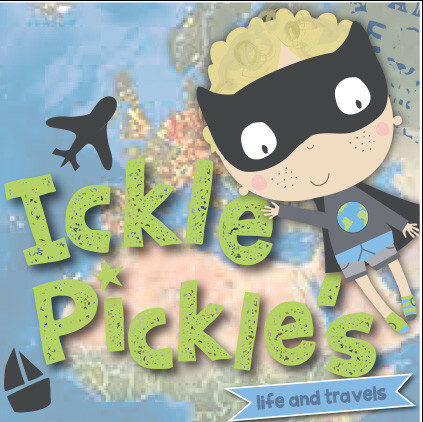 -Soak up the family friendly atmosphere. -(Hopefully) chill and relax in the sunshine, with beautiful Lulworth Castle as the backdrop. -Enjoy the sights of everyone dressed up with their pimped trolleys. 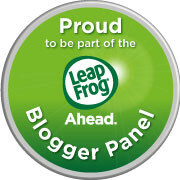 -Listen to loads of top notch music, enjoying treats such as churros, ice cream, and more. Full information on all the artists, food and drink, activities and more is over on the Camp Bestival website. 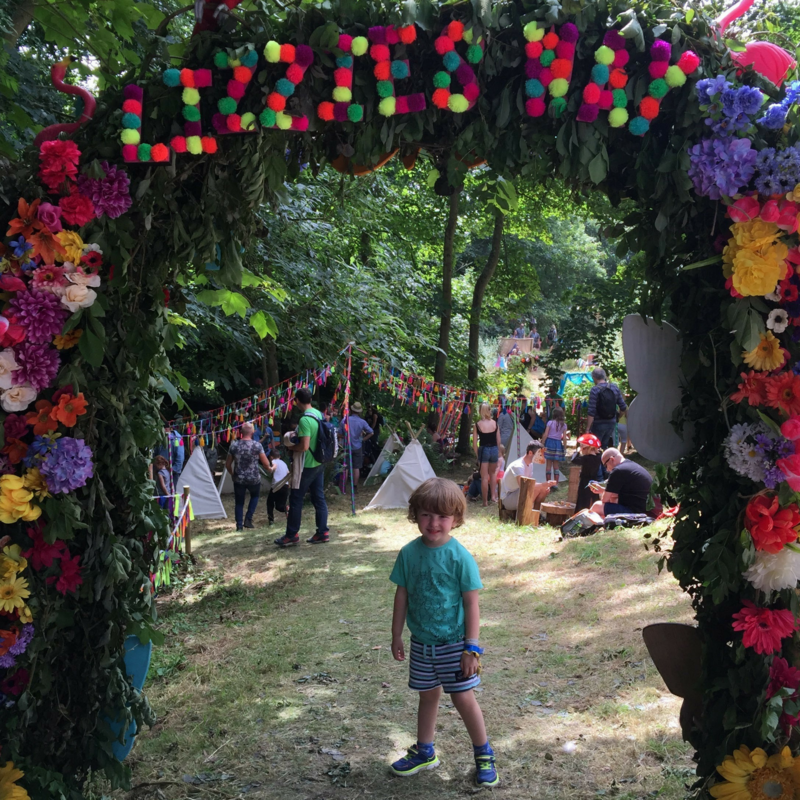 Camp Bestival this year is from 26-29 July at Lulworth Castle, Dorset. 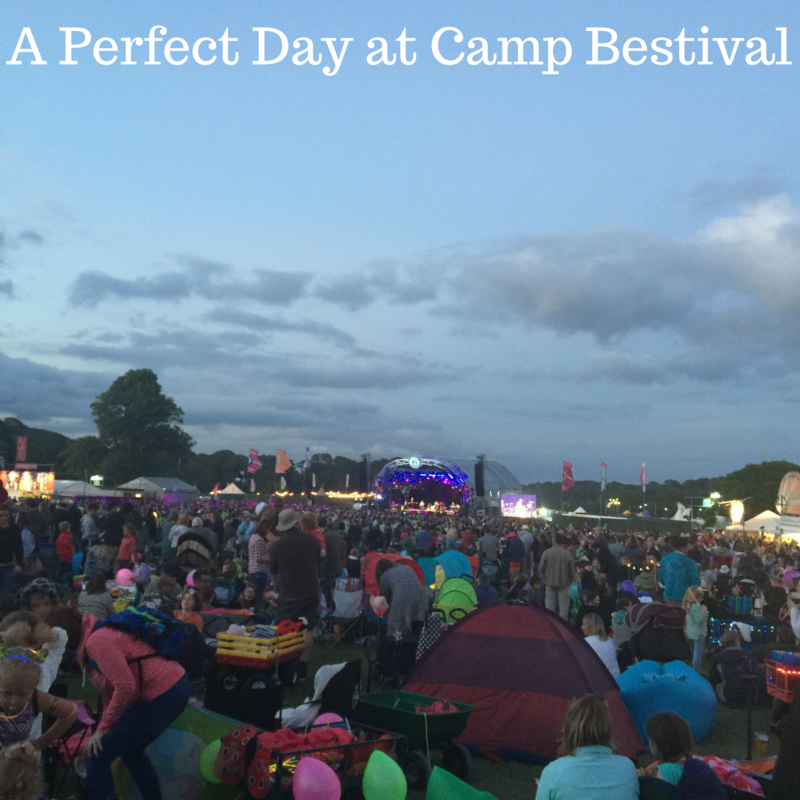 So, this is our idea of A Perfect Day at Camp Bestival – what would yours be? We are Official Camp Bestival Bloggers for 2018, our 3rd year. We are gifted tickets for the weekend, but all other costs are met by Mummy. See so many reviews about this festival as it does look good, one day I hope to go . 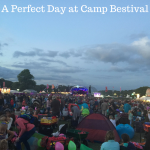 Every year I see reviews for camp Bestival and really want to go! We cant make the dates again this year but next year I am going to aim for it! I’ve never been to Camp Bestival, but it looks amazing!! One day we’ll visit! Awh this looks like such a fun day out!